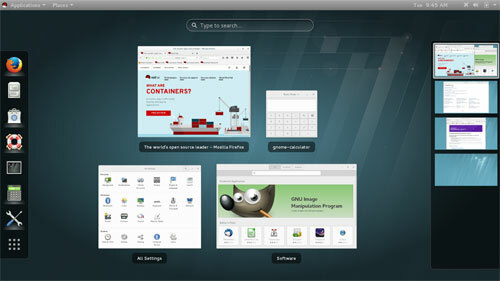 Red Hat, an open-source supplier, has announced the availability of its Enterprise Linux 7.3. The embedded Linux operating system (OS) supports CAN and Bluetooth. Red Hat’s updated Linux operating system includes features and enhancements built around performance, security, and reliability. The release also introduces additional capabilities around Linux containers and the Internet of Things (IoT). Besides applications such as video conferences and voice-over-IP (VoIP), Enterprise Linux 7.3 is designed for connecting ECUs and sensors to the Internet. Therefore it supports CAN and optionally Bluetooth. IoT implementations consist of vast connected networks of “smart” devices feeding information in real-time to centralized datacenters, allowing for improved operational efficiency and reduced operating costs. These implementations need to be backed up by a enterprise-grade operating system. Therefore, Red Hat’s Linux implementation introduces CAN support in the kernel. The company also launched several variants of its OS platform, among them one variant for 64-bit ARM-based devices. It includes a single-host virtualization based on KVM, also on open-source project as well as the Ceph Storage software for prototyping. The tool set comes with an open-source C and C++ development environment to create, diagnose, and debug applications for 64-bit ARM platforms. The KCD format is an open source CAN database format. It is used by several projects.